It is no surprise that this latest Daley launched his bid for the next mayoral election, which will be held in February. What is surprising is the term limits biz. But what about the long tenures of his father, Richard J. Daley, who died in office after 21 consecutive years, and his brother, Richard M. Daley, who served even longer? How about a less corrupt world? Unfortunately, Chicago is the recognized capital of corruption. No matter how much voters there want reform, politicians squelch it. After former Democratic Governor Pat Quinn organized a petition drive to place term limits on the ballot for citizens to decide, the crooked city council placed three non-binding issues on their ballot and declared there was no room left for Quinn’s term limits measure. People in power are often quite iffy about checks on power. This can be seen worldwide. Term limits play a critical role in preventing dictatorship in third world countries struggling with (and against) democracy. That’s why none other than former President Barack Obama, who rarely if ever spoke about the need for term limits here in the U.S., often inveighed against crooked African politicians breaking established limits. Even China’s Communist Party recognized the importance of term limits, enacting limits after the epoch of one-man rule under Chairman Mao Zedong. When just last year those term limits were abandoned for President Xi Jinping, throughout the world folks worried it signaled further hits to personal freedom for nearly 1.4 billion people. On social media, one Chinese citizen responded, “Argh, we’re going to become North Korea.” Of course, his comment was soon removed by government censors. There would be term limits for every city, county, and state, and the Congress of the United States, if only the people were permitted to vote on the matter. But resistance by insiders remains strong, and is often quite effective. We see the resistance in the current Chicago mayoral race. It turns out that Bill Daley also supports term limits for Chicago alderman. Not coincidentally, 14th Ward Alderman Edward Burke, the powerful chairman of the city’s Finance Committee and no less than a 50-year incumbent, to suggest that someone else would make a better qualified mayor. 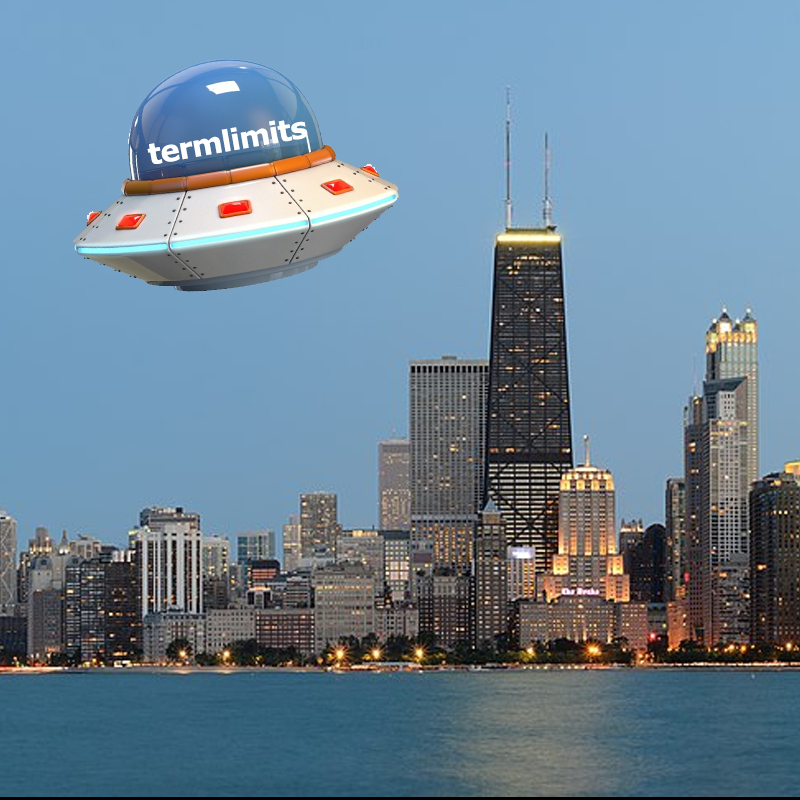 American voters everywhere — including in Chicago, New York, and Los Angeles as well as in rural states like Wyoming and Montana — fervently want term limits. This includes a clear majority of every race, both sexes, all age groups, all parties, all political persuasions . . . except, perhaps, the most boutique demographic group. Such as most politicians. Worldwide, the general reaction to legislators’ and presidents’ self-serving opposition to term limits echoes Daley’s: Really? This article first appeared in Townhall.